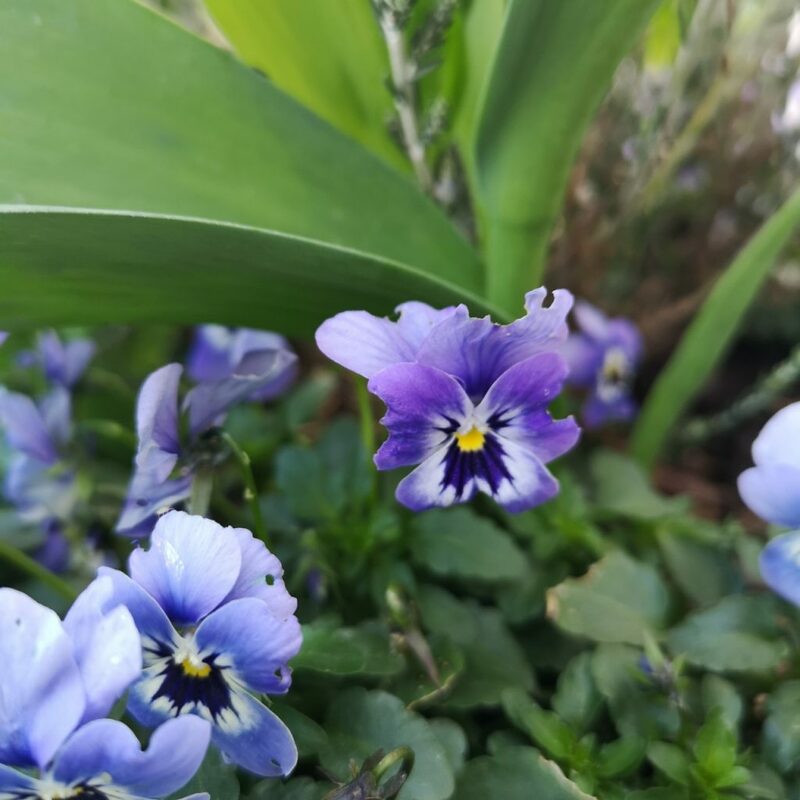 The weather, as we move from March to April has been challenging to say the least and the only plants that seem truly happy at the moment are pansies, roses and tulips. 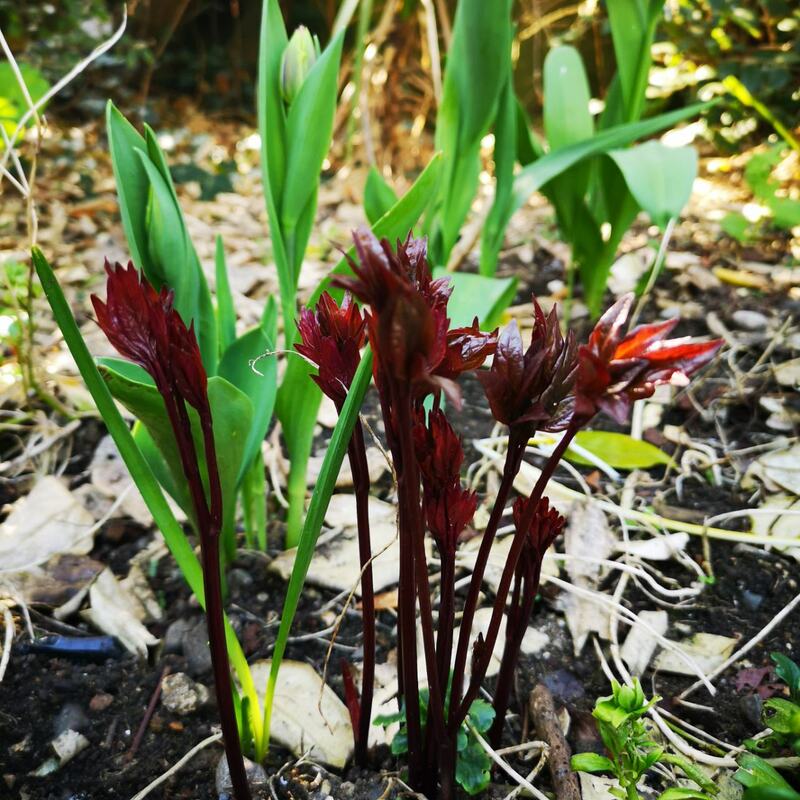 I thought this week I would celebrate new growth in the cottage garden, the promise of what is to come is enough to get us outside, right? Who remembers these little gems being planted back in October? I have never overwintered these before and I really didn’t think they would live all winter at the front of a sea facing cottage door. They have been battered by the wind, a source of food for questionable bugs and have kept the cottage from looking barren in the bleaker months of the year. 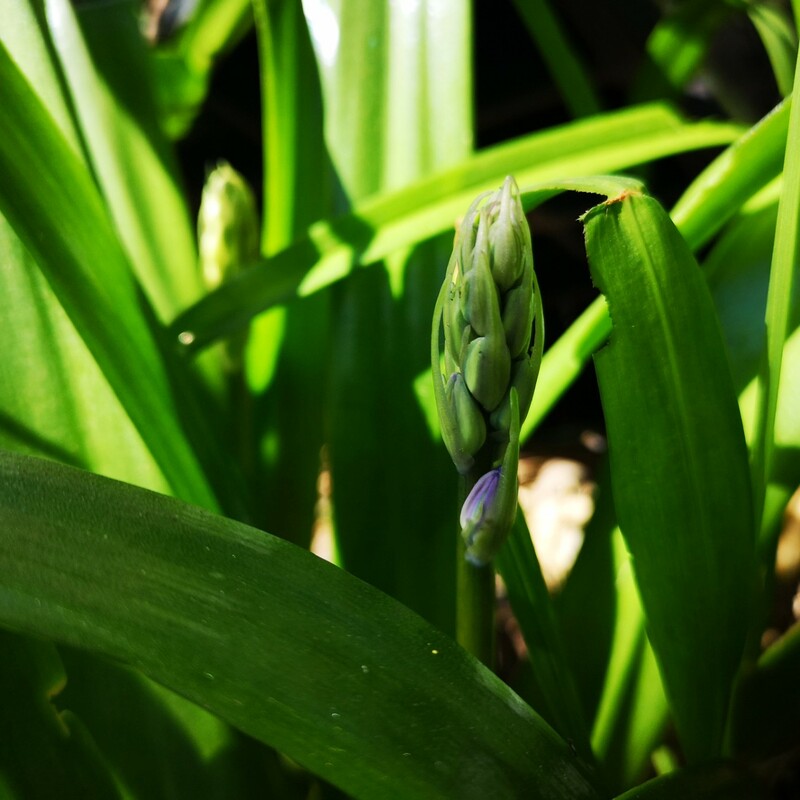 There are new flower buds forming and I have no doubt that these will see us through until late spring. As a child, I never understood my father’s love of wallflowers. Well, now I do. They offer such a burst of colour and mingle so well with the late daffodils that I can’t imagine not having them in the garden. They require so little attention and often my only problem is keeping them from spreading! Another inherited joy (I’m trying to focus on the good I inherited with this garden rather than the insane amount of work involved in such a tiny space). 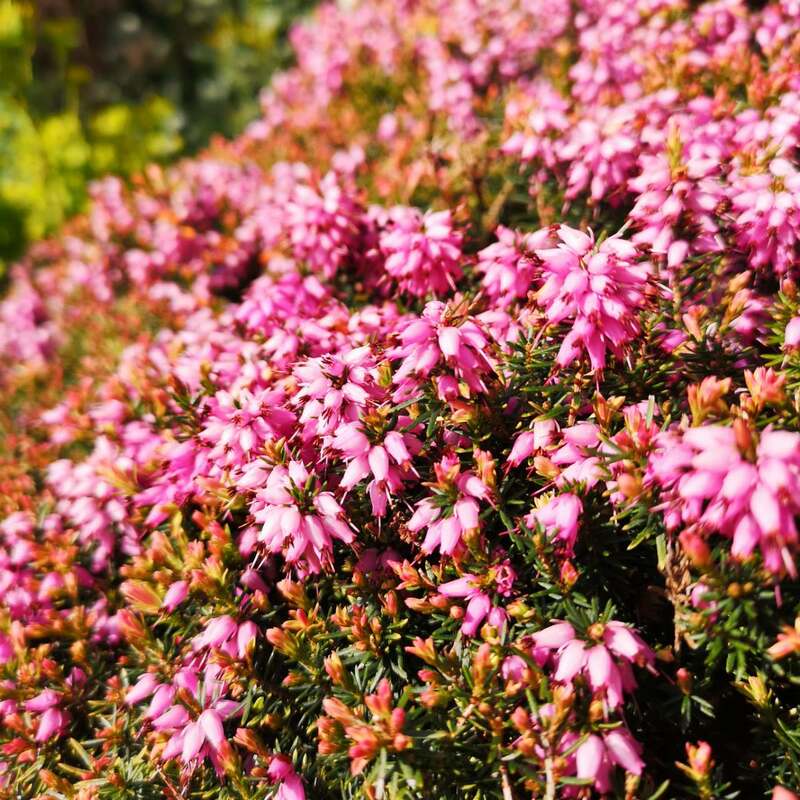 The garden has wafts of pink and white thanks to mature winter heather dotted around the garden. The bees love it as a source of food/water and I can’t help but work my planting scheme around it. The gorse on the other hand….that stabby brute is leaving the garden this year, it’s having one last hurrah and then it’s being forcibly removed. I love my patio fruit trees and I am so glad that we kept these in containers. 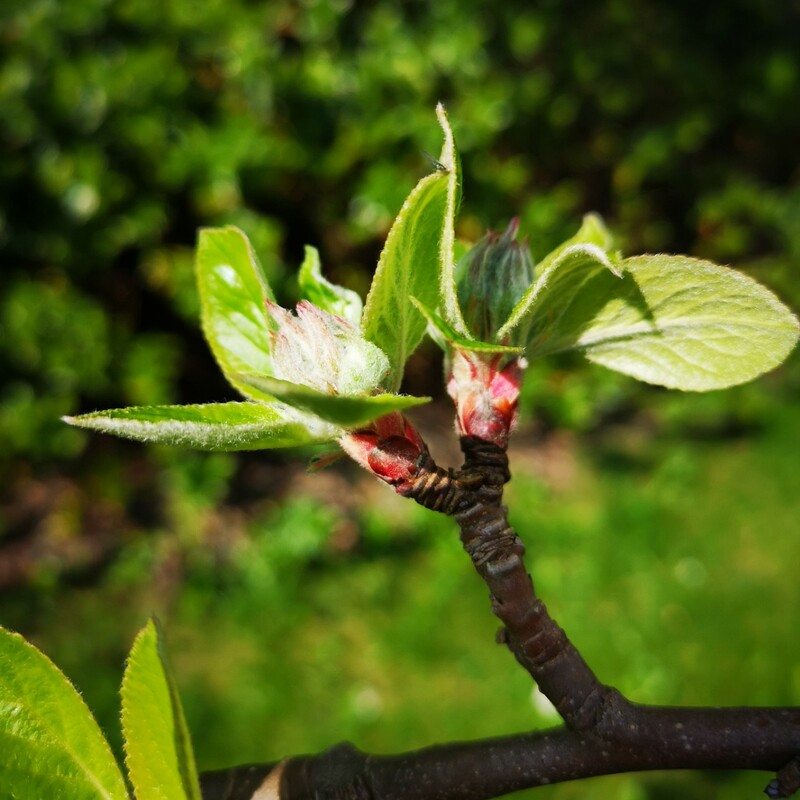 They are just bursting into life (apologies to anyone who is now singing Snow Patrol in their mind) and you can see the start of tiny buds which will be fruit and those delicious apples. I am hopeful this year that we may even see some pears….we’ll see but every year I wish the pear tree to fruit and every year it mocks me. I guess the old saying is true ” those who grow pears, grow pears for their heirs” . It wouldn’t be a cottage garden without bluebells and we have so many here at the cottage but my favourite are over the small pond in the back garden. Each year they remind me of just how much you can see before the trees and shrubs open their canopies. Stay tuned next week to see these in full bloom, it won’t be long now even in the snow and hail. (Cough, yes I did deliberatly leave out my snowdrops, they still haven’t shown any growth bar a few leaves). Well, I was not expecting these to be up and awake and shouting to the world of slugs to “look at me, look at me.” In fact this entire back bed has surprised me as I assumed it would be a frost trap. So far there are no noticeable buds but I’ll now need to keep a check on these in case of a late hard spring frost or I’ll lose any chance of seeing flowers this year. I guess the mild weather has really confused quite a few plants this year. Thank you for joining me in the garden today. I’m off to sow some seeds and plan my raised bed rotation for this year. 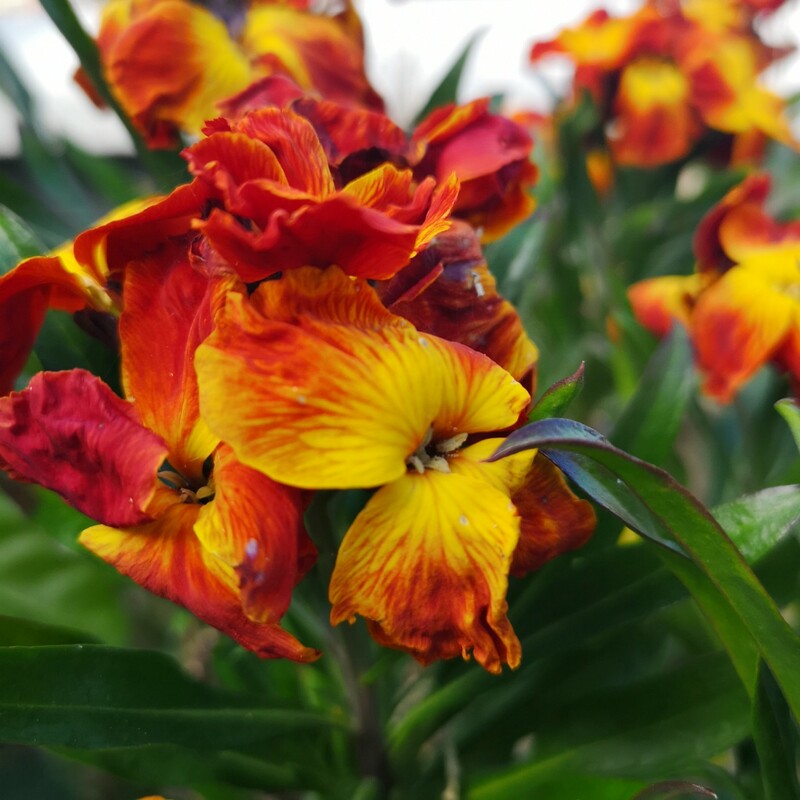 Do make sure that you pop over to The Propagator ‘s page to check out more wonderful gardening posts and why not search the #sixonsaturday tag on twitter too to fill your feed with beautiful blooms. There is also a participant guide here if you would like to join in too. Looking forward to catching up with all of your garden posts this week too! You can with a Ko-Fi. Nice Six. I forgot to sow wallflowers for this year but thankfully an old batch had seeded themselves and are in bloom. Looking forward to seeing your bluebells in flower. Even if your peony is at the same stage as mine, your apple tree is early because I already see the flower buds … Nice Six and very beautiful pictures as always. Hi Fred 🖐️ I think this mild weather has everything waking up early. I also checked the Dahlia I overwintered outside and they are good and strong but yet to sprout. I planted extra just in case and you can never have too many right?? ?